Ho-Ho-Ho! It's Christmas time again! It's a season for music and a time of good Cheer. Good tidings to you, where ever you are Good Tidings at Christmas and a Happy New Year! From the time of Sinatra and Ella Fitzgerald , when Christmas is coming, many artists propose Christmas songs or make cover of familiar songs of this period. In most cases albums and singles arouse attention, they generate profits and then they disappear. Sometimes some song risks to become a classic, it is reinterpreted in the following Christmas, creating a vicious circle. As, for example, did Bing Crosby with "White Christmas" and Mariah Carey with "All I Want for Christmas is you". The fact is that we can’t imagine a Christmas without these songs we could hear without being tired. 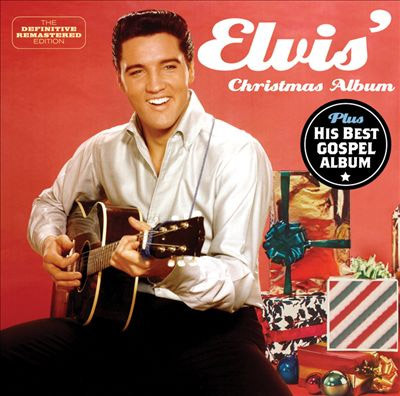 The LP consisted of some Christmas songs released by RCA Records in October 1957 in the United States.